A long time ago, in this galaxy far, far away, you won’t find lightsabers and droids, but you’ll certainly spot princesses and knights. 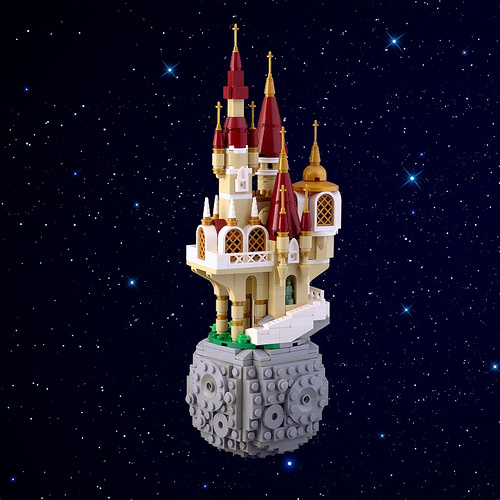 Built by Koen, this precariously perched castle has a wonderfully Disney-like aesthetic with some clever techniques mixed in, if you take some time to study it. Note, for instance, the second-tallest turret, which has windows made of pulley wheels and Technic pins. Personally, I’d like to think this is where the Little Prince lives after he grows up.